Just chose any option and we will get it shipped to you. The easy to follow text is illustrated with over 700 colour photographs and diagrams. With a friendly but expert approach. Mike shows you how to skin the carcass, prepare the skin, construct a manikin. Then mount the specimen to a standard that any budding taxidermist would be proud of. In fact, it’s second only to having Mike standing next to you at your work bench! This unique and groundbreaking new book proves that you don’t need advanced scientific knowledge or a workshop full of specialist equipment in order to succeed. Clearly presented in a logical, informative but informal manner, it shows you how you can achieve a good quality result with your first attempt. 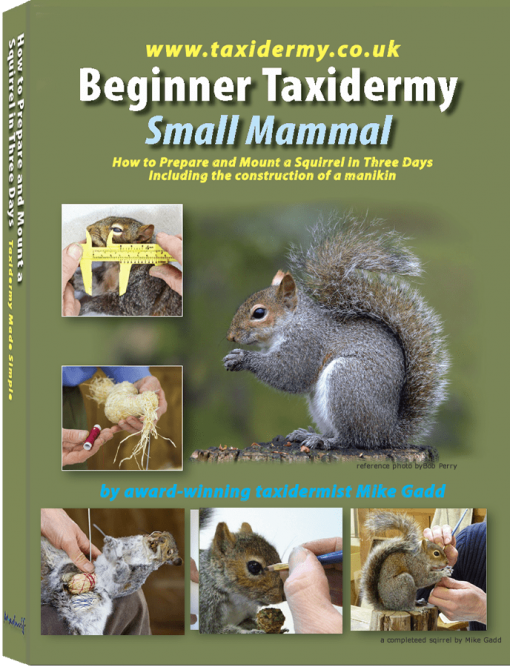 ‘Beginner Taxidermy - Small Mammal’ is the first in a new series of workshop manuals by Mike for beginners in taxidermy. Mike teaches you to observe and study the specimen and he helps you to master the essential skills. Having witnessed all the problems that students are likely to encounter Mike is well qualified to guide you around the pitfalls! He shows you the best tools for the job and describes how to make many of them yourself. If you’re a complete beginner, you’ll be surprised at how little equipment you need and how much you can achieve with just a basic appreciation of anatomy and a willingness to learn. Taking a straightforward and practical approach. Mike aims to de-mystify and inspire, giving newcomers the skills and confidence needed to make their first steps in this fascinating field. This must be one of the best guides to small mammal taxidermy. The book is unlike any other both in its layout and format. It is very user-friendly and takes you step-by-step throughout the whole process. It is also very well illustrated with text so that even those with no prior taxidermy experience can easily follow it. 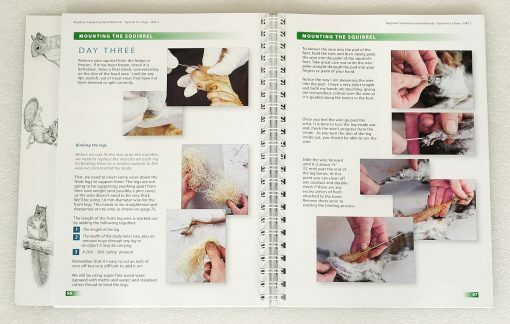 Although it is aimed at beginners, the more experienced taxidermist will benefit from the book as each person’s technique varies. Mike Gadd has clearly given a lot of time in sharing his many years of experience in the creation of this book. It is a must-have on any taxidermist or taxidermy enthusiast’s bookshelf. Other taxidermy books try to explain how to mount a fish, a reptile, a bird, a small mammal, and a game head all in one little book, usually accompanied by half a dozen poor quality photographs: it is impossible to properly explain in only a single chapter, how to mount one particular species. 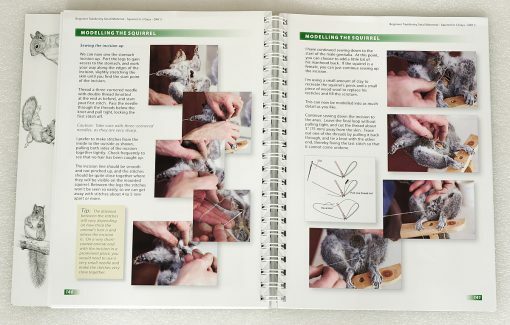 Mike’s comprehensive book is dedicated to just one topic: how to mount a squirrel. Because of this, the book really does contain EVERYTHING you need to know. 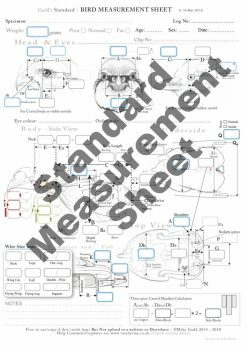 The book is divided into well-structured sections that go through each and every process in precise detail. The writing is ever so friendly, clear, and concise. It is perfect for beginners as it doesn’t assume that the reader already has a certain amount of knowledge: detailed explanations and definitions are given throughout. As well as numerous diagrams, there are an astonishing number of photographs, all of which are in full-colour and the high-quality of the images means that you can easily see what’s going on, even in the most intricate stages. Not only does the book explain every step of the process from before you even begin to skin the squirrel, it also contains a wealth of other information such as advice on which tools and materials to use, reference images, basic tanning, fixing broken bones, casting a tail and lots more. 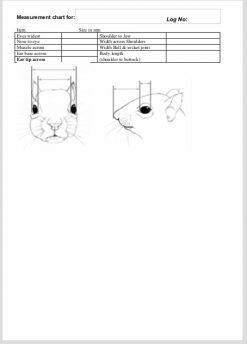 There is a fantastic ‘Doctor’s Surgery’ section where Mike shows photos of three different mounted squirrels and analyses their problems – explaining how and why each problem occurred and, most importantly, how it can be cured. 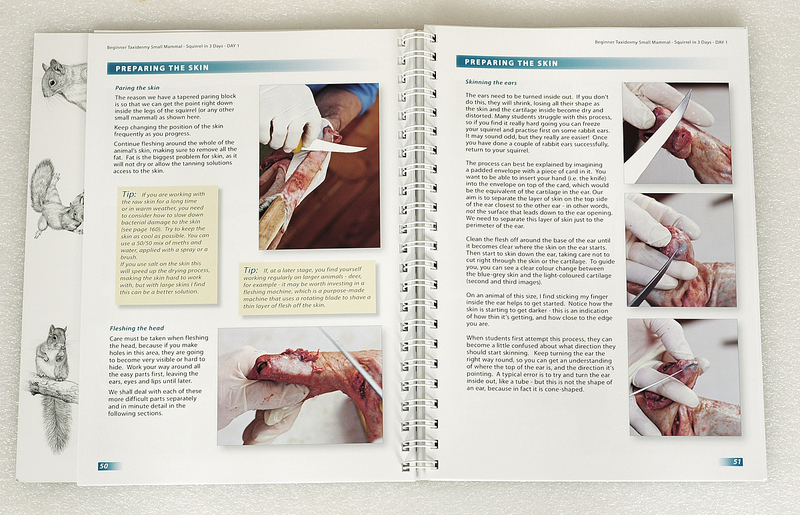 Another great feature of the book is that it is bound so that it can lie flat on your workbench or table (or lie open by itself on a book rest) so that it will be your constant companion while you work. It really is almost as good as having Mike standing beside you and teaching! 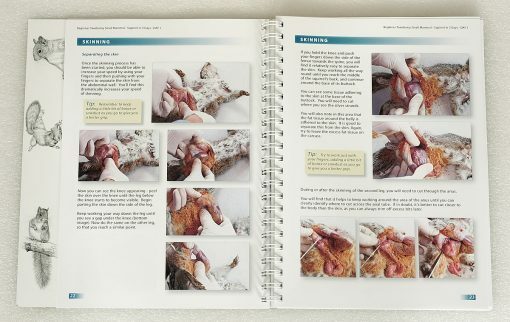 I can highly recommend this book to anyone who is starting out in taxidermy – whether you have already tried mounting a couple of squirrels or if you have never done one before, this book is invaluable. This is hands down the most detailed and in-depth taxidermy book in my collection. It is absolutely worth the purchase. 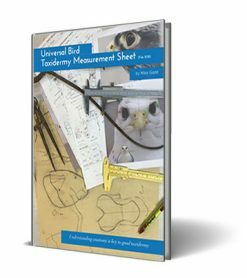 The book covers not only the mounting process in incredible detail and accompanied by hundreds of photos, but also the importance of measurements, reference and learning the anatomy of the animal. Although I am not a complete beginner I found this book inspiring, educational and overall astounding. Being used to ‘Americanized’ taxidermy books such as the Breakthrough manuals, this was a breath of fresh air. Mike reminds us of the importance of really studying our species, enjoying what we do and recreating it to the best of our abilities. This is the best book on mounting small mammals on the UK, and probably world market today! At last, a book as come on to the market I can recommend to the Zoology and increasing in number Art(100% Female) students I give taxidermy lessons to.Set out clearly with superb photographs of the procedures and detailed instructions.Not only dwelling on the skinning ,curing and setting up of a Squirrel but gives numerous tips and information of using various tools and different ways to approach the process.My favorite parts and I would say the most important are the chapters on anatomy,which gets across the fact that students should always spend more time drawing and measuring the specimen to be worked on. Although the title suggests this book is aimed at a beginner I feel it should be on the selves of all working Taxidermists.